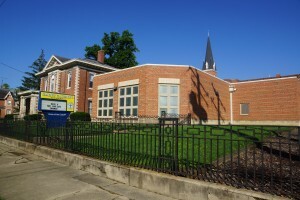 St. Gabriel Catholic School has been committed to educating children in grades pre-6th grade since 1854. Its rich tradition of “education founded in faith” is supported by our parish community. Our 150 students are served by a full-time faculty of 8 and a support staff of 8. Our catholic faith is the foundation for all actions and the students use their talents to grow academically, spiritually, and through service to others. They reach out to the school, the parish, the community, and the world in order to become better people. If you would like to be a part of the St. Gabriel School family, please call (765)825-7951 to schedule a visit.